Charley’s Angels: Sandy Gardner, Cindy Cain, Chuck Gardner and Janet Rutland Photo courtesy Chuck Gardner. 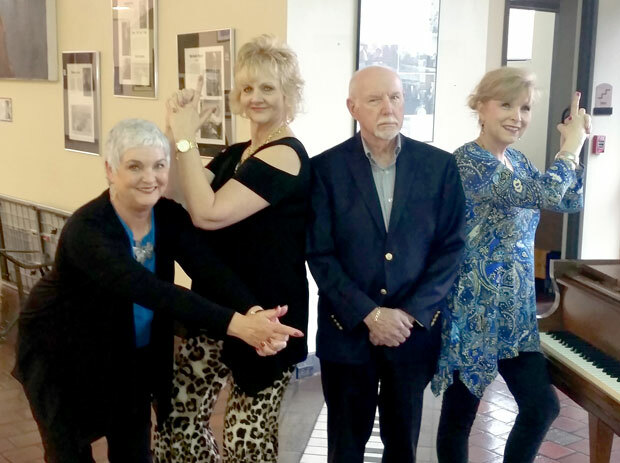 Here are a couple of things you should know about Chuck Gardner’s Charley’s Angels show, set for Sunday, June 5 at the Oklahoma Jazz Hall of Fame’s Jazz Depot in Tulsa. First, the only person who consistently referred to pianist, arranger and composer Gardner as “Charley” was his old Uncle Lyle from Minneapolis. Second, Gardner has dubbed the concert “Charley’s Angels” instead of “Charlie’s Angels” because he doesn’t want anyone to think it’s a direct representation of the well-remembered late ’70s-early ’80s TV show that made actresses Kate Jackson, Jaclyn Smith and, especially, Farrah Fawcett household names. “Janet” is Janet Rutland, one of the three angels working with Gardner on his show. The other two are Cindy Cain and Sandy Gardner, Chuck’s wife of 38 years, who’ll also play bass. “Tony” is veteran Tulsa drummer Anthony Yohe, a longtime musical cohort of the Gardners and one of the least likely people in the known universe to be mistaken for Farrah Fawcett. “I’ve been wanting to do a concert with these three gals for a long time,” Gardner says, “and I thought ‘Charley’s Angels’ would make a good framing device to bring us all together. Each one has her own following, which is one of the reasons I selfishly picked them. They’ll all bring in their different crowds. 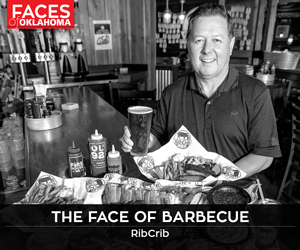 He’d gotten his first taste of it about a decade earlier, while stationed at Hickam Field in Hawaii and leading an Air Force group called the Pacificaires. He’d joined the Air Force band program only a few years earlier, in 1957, after working in various musical outfits as a young civilian in his home state of Iowa. Then, in the very early 1960s, an up-and-coming jazz-pop vocalist who’d just recorded her first album for Capitol Records visited the Hawaiian Islands. Her name was Nancy Wilson, and she was scheduled to appear on a Honolulu television show. The station, however, didn’t have a pianist on its staff. “They called us at Hickam, wanting to know if we had a piano player who could come out and back her,” Gardner recalls. “I was sent over, and I remember she was just gorgeous, but I had no idea who she was. Nancy Wilson was far from the only recording artist Gardner worked with during his time in the Islands. The latter part of the decade found Gardner back on the mainland, not only working with and ultimately leading the U.S. Air Force Academy Band, the Falconaires, but also playing other gigs in and around his home base of Colorado Springs, Colorado. That’s where he met one of the three singers who’ll be appearing with him on the Charley’s Angels show. However, their initial meeting at the Academy’s Officers’ Club, did not go well. “I did not have a job that particular night, so the leader of Sandy’s band called me to play with them,” Gardner remembers. “I knew they had a vocalist, and I thought, ‘Oh, brother. Here we go.’ I wasn’t very happy about subbing with some singer I didn’t know. Their professional association quickly became personal, and within a few weeks Chuck and Sandy were engaged. They also continued to play music together, with Sandy learning bass from a member of the Falconaires. Married in 1978, the two worked professional gigs in several more states before landing in Tulsa, Sandy’s hometown, in the early 1990s. Soon, they’d met and started playing with both Anthony Yohe and Cindy Cain. He has similar praise for Cain, one of the first vocalists he worked with after settling in Tulsa. Charley’s Angels, featuring Chuck Gardner on piano, Anthony Yohe on drums, and Sandy Gardner on bass and vocals, along with vocalists Janet Rutland and Cindy Cain, is set for 5 p.m. June 5 in the Jazz Depot, 111 E. First St. in downtown Tulsa. Tickets are available at JazzHallTickets.com or by calling 918-928-JAZZ.